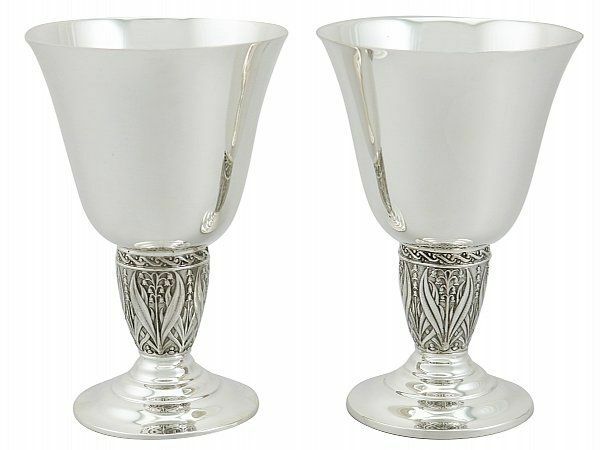 These exceptional vintage sterling silver goblets have a plain circular bell shaped form circular rounded pedestal. The surface of each goblet is plain and unembellished. Each foot is ornamented with a plain stepped ornamentation radiating from the lower portion of the decorative pedestal. 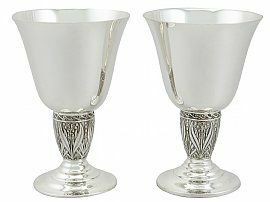 These vintage sterling silver goblets are an exceptional gauge of silver, exceptional quality and in exceptional condition. Full hallmarks struck to the surface of each drinking vessel are all very clear.